WanderMan: Old Time Oven or Convection Microwave?? The smell of baking cookies. Just reading that conjures up wonderful memories. The oven has been a basic tool in home cookery for decades. RV's have had them for a long time. On the other hand convection ovens haven't been around nearly as long, but have proven to be a great cooking method for RVs and the home alike. 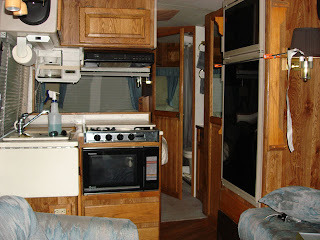 Maybe I'm biased as my RV came with a convection/microwave and I use it all the time. It's faster than a regular oven and I can get the same results. A little modification of a particular recipe MAY be needed, but hey, I like to modify things! A regular oven cooks because the air around the food gets heated up (and to some extent the walls radiating heat) transferring energy to into the food. 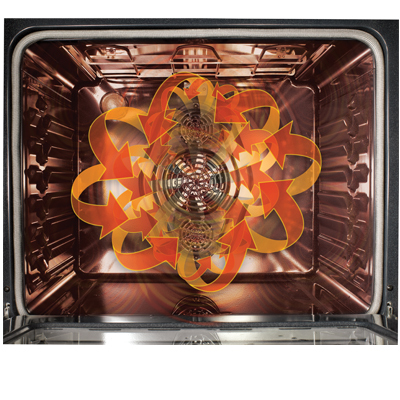 A convection oven works much the same way, except that it has a circulation fan that "swirls" the air around the food transferring the heat energy faster and more efficiently. Many RVs, including mine, have a microwave/convection oven. This can be used just like a conventional convection oven or just like a simple microwave. When these two modes are combined is when magic begins to happen. Microwaves are a very effective way to cook they heat by vibrating the water molecules inside your food. Pretty cool, huh? We all know that microwaves cook fast, but anyone who has ever tried to make a hamburger in one knows that it's not so great. It will cook, but it doesn't have that great broiled taste and caramelized crispy exterior. Enter the convection side of the equation. While the microwaves cook the food fast, the heating element and circulation fan browns the outside of the food and creates the taste. You get the best of both worlds. Fast, energy efficient cooking AND great flavor. There are some issues. Baking is usually done in a much more humid environment, so the circulating air tends to dry out the moisture in the recipe. Remember, most combination convection microwaves, can be used WITHOUT the microwaves and just as a CONVECTION oven. Some can be used like a regular oven as well (without the fan running.) You can set a temperature and the oven will maintain it. The inside space on one of these isn't going to be as big as a regular home oven, so roasting a 25 lb Turkey isn't going to happen. But then again, we're used to smaller and lighter in RVs. Plan ahead... how about roasting a big bird in sections? 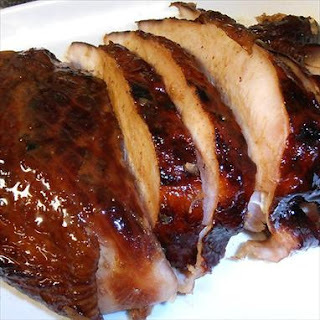 I make Whole turkey breast in the convection microwave. Usually a 6 lb. one and it comes out simply FANTASTIC! Drum sticks, thighs, etc. All amazing. Beef? Oh yes, I've done roasts that were juicy on the inside and golden brown and delicious on the outside. OK, now I'm getting hungry! Not every recipe will work "out of the box" though. I've found that by adding some extra water/liquid or changing the cooking times (usually less time!) will allow you to cook almost anything with both microwaves and convection heating. Figure it cooks 25% faster than a conventional oven. Don't be afraid to experiment. You can always eat the mistakes and no one will ever know!